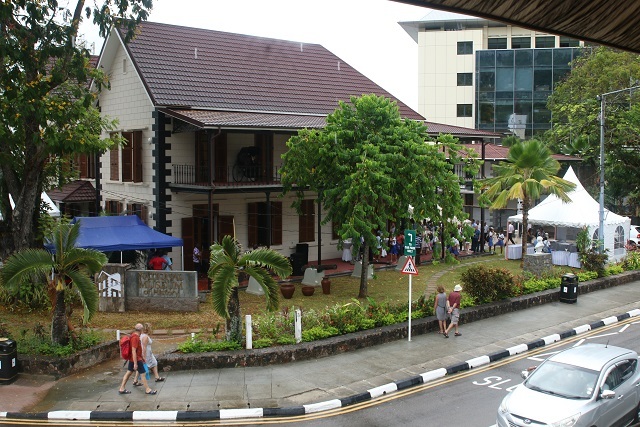 (Seychelles News Agency) - The Seychelles National Museum of History will reopen its doors to visitors starting Monday after being closed for over a year for a transformation that included a digital facelift. The 53-year-old museum has kept its traditional features after undergoing renovations since 2016. But it also incorporated new lights and sounds in its displays. The museum had been closed to visitors since May last year. The entrance fee for the museum will be SCR25 ($2) for residents and SCR150 ($11) for visitors. It will also cater to educational programmes during the school holidays. The director for museums, Beryl Ondiek, said in her address at the official opening on Friday that the history museum adds value to Victoria and should be a place for every Seychellois to come and appreciate. “As a citizen of this country, I am proud to be in such a beautiful building which adds value to our small town Victoria. We pledge to do our best to ensure that we the staff of the national museum deliver a first-star service at all times and become the best custodian of our heritage,” said Ondiek. The history museum of Seychelles, an archipelago in the western Indian Ocean, was opened in 1965. It moved to the ex-Court of Appeal building which is currently the Mayor’s Office in 1990. When it closed almost a year ago it was located at the national cultural centre at the National Library building. The revamped history museum has new digital displays and improved protection of the artefacts. 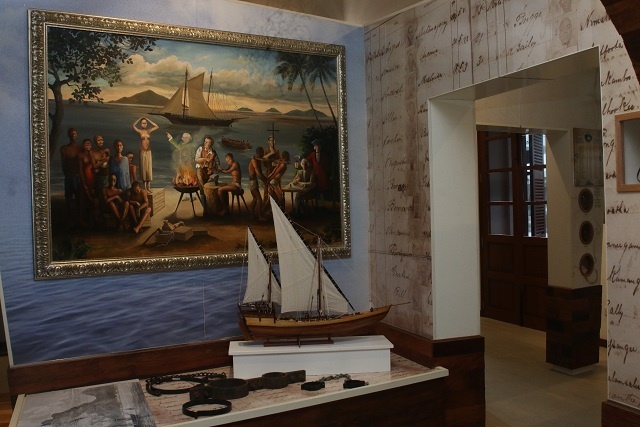 The museum now covers more aspects of the Seychelles’ history such as its political, economic, Creole culture, gifts of state, national emblems and key events of the nation-building process. In her opening address, the Designated Minister who holds the portfolio for culture, highlighted the importance of using information technology in museums in the present century. “Today’s museums are interactive using lights, sounds and visual representations to exhibit the countries heritage. In our modern society, museums are considered as institutions that promote dialogue and peace and also encourage and foster the best cultural and democratic ideas of the nation,” said Mondon. The museum has increased features which include contributions from partners such as the French government and some Seychellois individuals. Seychellois Emmanuel D’offay, who is the Special Adviser in the Department of Culture, has shared part of pirates treasure he has discovered. Another Seychellois, Maxime Ferrari, shared two paintings offered to him by Michel D’offay and her student who established one of the first painting classes in Seychelles. “I am happy to have offered two art pieces that are precious to me. I am very interested in culture. In Seychelles we focus a lot on the Creole culture, it's good but a nation can never be as cultivated if it does not concentrate on its primary culture that is our origin, our past. This is what gives us value,” says Ferrari. The museum will house several galleries covering the history of the island nation from the slavery days up to modern time and exhibits will also include artefacts.